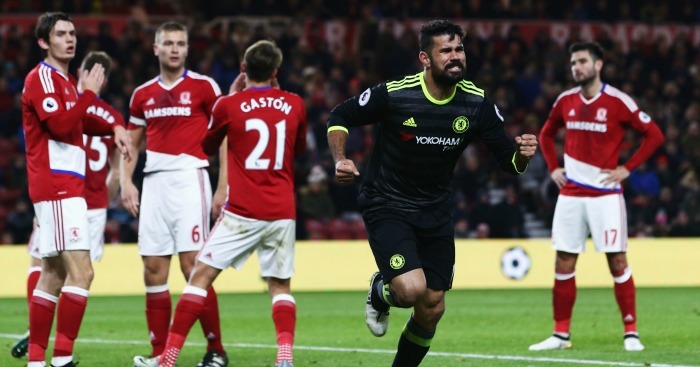 Diego Costa scored the only goal as Chelsea won at Middlesbrough to go top of the Premier League. Costa’s 41st-minute strike was all the Blues had to show for their efforts at the Riverside Stadium with Boro keeper Victor Valdes in particularly stubborn form, but it was sufficient to secure a sixth successive league win and clean sheet in front of a crowd of 32,704. 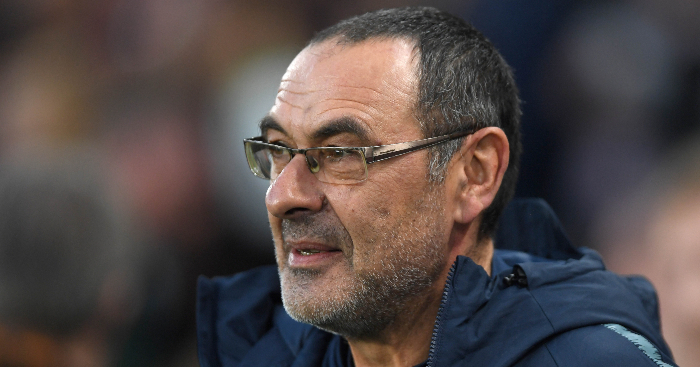 Chelsea have now not conceded in the competition in 590 minutes and lead Liverpool and Manchester City by a point while Boro, despite their recent heroics at Arsenal and Manchester City, have now won only once in 10 league outings. 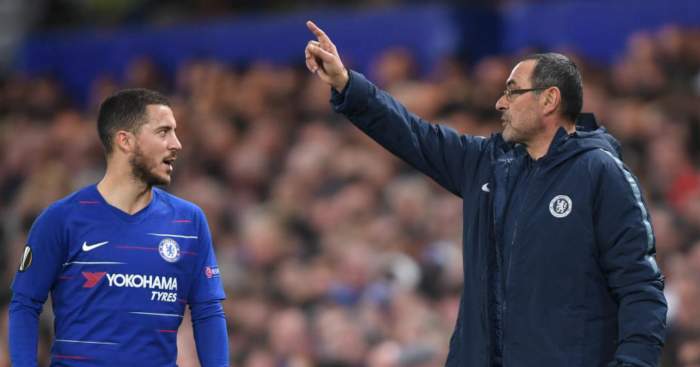 Antonio Conte’s men were laboured in the early stages as the home side, far from trying to soak up pressure, decided attack was the best form of defence. Having already stretched the Blues rearguard on two occasions, they threatened with six minutes gone when full-back Fabio played Gaston Ramirez in down the left and although Marten de Roon’s initial shot was blocked by Nemanja Matic, the ball dropped kindly to Alvaro Negredo, who fired it across goal. 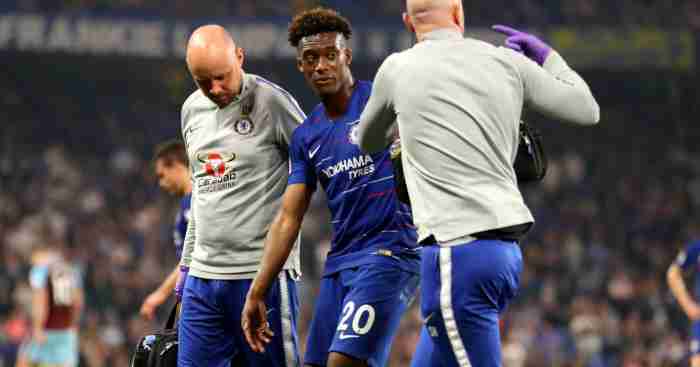 Chelsea gradually worked their way into the game with widemen Victor Moses and Marcos Alonso seeing plenty of the ball, but with Eden Hazard well marshalled and Costa struggling to find space, they were not causing genuine problems. But as the pressure mounted, Boro finally wilted and but for a fingertip save by Valdes from Pedro, the visitors would have been in front with 28 minutes gone after Hazard had lifted a superb ball over the top into Moses’ run. 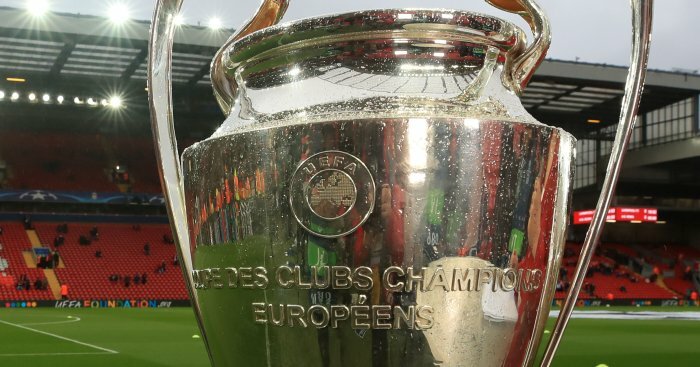 Antonio Barragan and Fabio combined to block Pedro’s effort nine minutes later with Valdes repelling Alonso’s follow-up, and Moses saw another effort deflected wide by Fabio, but it was from the resulting corner that Chelsea took the lead. Alonso’s header cannoned off the unwitting Ramirez’s back and fell nicely for Costa to stab home from close range. 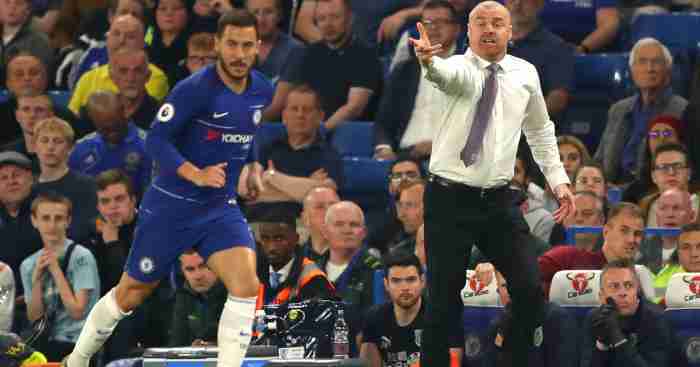 Valdes prevented Alonso from doubling the lead within seconds of the restart after Hazard had picked him out in space once again, but as Conte’s side relaxed, they became careless in possession to give their hosts a glimmer of hope. Ramirez might have exploited that when Negredo stepped over Adam Clayton’s 55th-minute pass to leave him in space 20 yards out, but he skied his effort. The lively Adama Traore might have done better when presented with a free run at goal after referee Jon Moss had allowed play to continue following David Luiz’s poor challenge on Negredo on halfway six minutes later, but he delayed and allowed Gary Cahill to block. 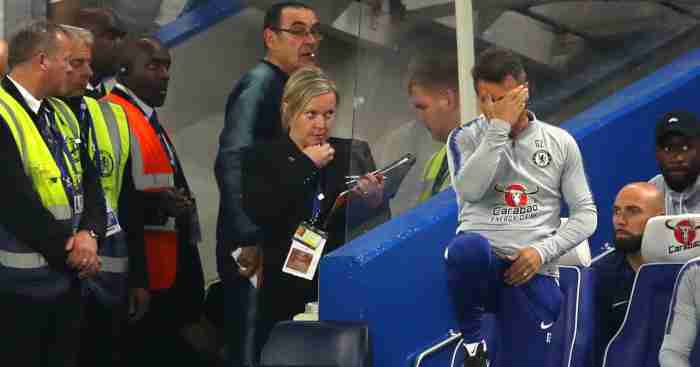 Pedro was thwarted by the crossbar after meeting Costa’s 63rd-minute knockdown, and Moses missed the target after he and the Spain striker had spearheaded a 4v3 break which should have paid greater dividends. Negredo forced keeper Thibaut Courtois into a vital save after Traore had found him with 12 minutes remaining, but Boro’s chance had gone.